Children are at greater risk of catching illnesses due to their weaker immune systems and close proximity to other children. 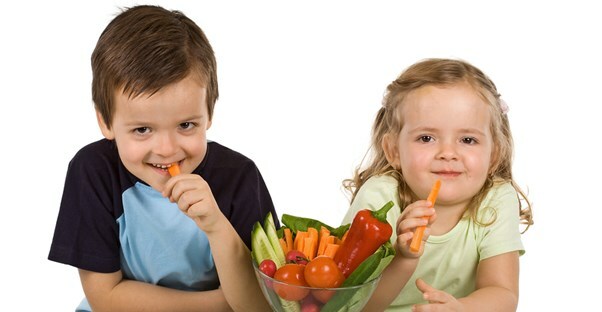 Fortunately, a healthy diet can boost your child's immune system. Kale chips are a delicious and nutritious alternative to regular potato chips. Kale is filled with vitamin C, which is an antioxidant that helps support a healthy immune system. Kale is also a great source of iron, vitamin K and vitamin A. Furthermore, kale is low in calories. It is very simple to make kale chips. You will need a bunch of kale, seasoned salt, and olive oil. Preheat your oven to 350 degrees Fahrenheit. Wash and dry the kale thoroughly. Sprinkle it with seasoned salt and drizzle it with olive oil. Place the kale in the oven and allow it to bake for about 10 minutes or until the edges are brown. Let it cool before serving. Ice pops aren’t always considered healthy. However, if you have the right ingredients, then you can make healthy citrus ice pops at home. You will need grape fruit juice, water, orange juice, sugar, lemon juice, chopped strawberries, vanilla yogurt, and white sugar. Combine the sugar, orange juice, grapefruit juice, and lemon juice in a saucepan and allow it cook over medium heat and bring it to a boil. Continue to cook and stir until the sugar has dissolved. Remove the ingredients from the heat and place them in the freezer for about 10 minutes. Mix the strawberries and yogurt together and chill. Spoon a small amount of the cold juice mixture into ice pop molds. Place the molds in the freezer and allow them to freeze for 30 minutes to one hour. Spoon a small amount of the yogurt onto each one of the ice pops and top each one of the pops with citrus juice. Allow them to freeze until they have hardened, which usually takes one to 1.5 hours. Strawberries, lemon juice, orange juice and grapefruit juice are all filled with vitamin C. Yogurt has probiotics, which help support healthy digestion and a healthy immune system. Bananas are a great source of fiber, which is another nutrient that helps support a healthy immune system. They are also high in potassium. You will need bananas, grapefruit juice, crushed ice, and sherbet to make banana bonkers. You will need to use a food processor or blender to puree the bananas. After that, you will need to combine the grapefruit juice, lemon juice, sherbet, pureed bananas and crushed ice in the blender. Pour and serve.